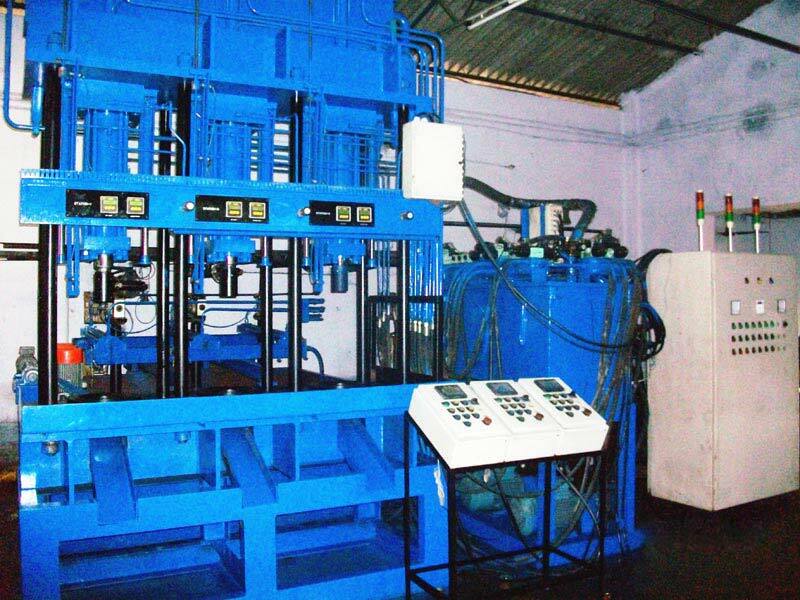 SIMPLETEC hydraulically operated 3-Station 25T Quench Press is designed to press-quench small components like bearing races, gear blanks, etc., in closed dies. Quench pressure, time and oil flow can be set precisely. The pressing force and the quench oil flow can be seen on a HMI provided in the electric panel. Each station can be operated independently by one operator. Except loading of components, all other operations are automatic. Pick & Place Manipulators for automatic loading of components can also be provided.